A very specific class solely for those clients currently pregnant or who have recently given birth (must be 6-8 weeks post vaginal delivery and /or caesarean section). 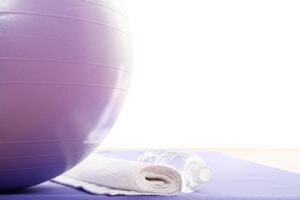 The class promotes the comfort and safety of all exercising clients by making use of specific supports and equipment. A gentle exercise programme designed to encourage flexibility, control and strength. By exercising throughout pregnancy (appropriately) the core muscles can maintain a level of strength, helping to support the growing bump and maintain control over the pelvic floor. Once the baby has been delivered, Pilates is a fantastic form of exercise to strengthen the core, pelvic floor and help to reduce any stomach muscle separation (diastasis recti) thus helping to support the lower back. Those clients who experience pain during nursing or feeding may suffer from poor posture, something which Pilates aims to improve through specific exercises and therefore helps to reduce any pain.